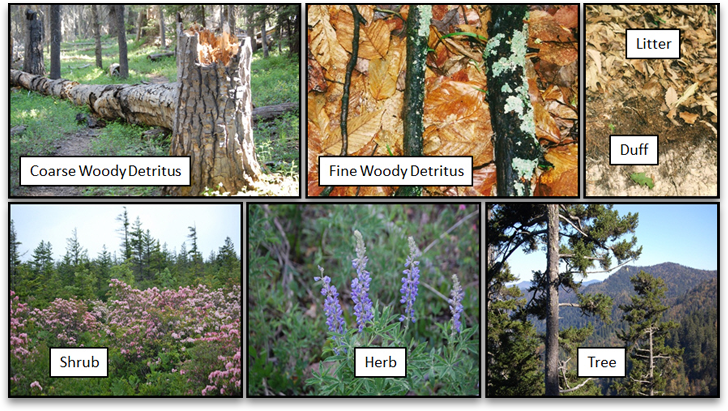 The USDA Forest Service's Forest Inventory and Analysis Program (FIA) subsamples down woody material (DWM) in its extensive annual survey of U.S. forestland. This web application allows users to explore and download subsets of compiled data from DWM plots (the FIA phase-3 sample) made available in 2010. The newest FIA data, not yet compiled, can be found at http://apps.fs.fed.us/fiadb-downloads/datamart.html. The Interactive Map allows users to look at key data variables at a plot level on a national scale, and then drill down to state or ecoregion levels, or even to specific plots. The Data Downloading Interface page allows selection of desired mass, classification, and stand structure variables from DWM plots by state or ecoregion. For website-related help, contact Christine Blinn. For technical details about the data, contact David Chojnacky.